About 700 patients are currently allowed to use cannabis for medicinal purposes and it is expected that the number surpasses 1,000 at the end of this year. The first patients received cannabis in 1999 after the Health Ministry legalized the use of the drug by severely ill patients. "I issue 40 new prescriptions every month, with an average prescription calling for 100 grams per patient per month," says Dr. Yehuda Baruch, the head of the psychiatric hospital Abarbanel in Bat Yam. Baruch is the only physician appointed by the Health Ministry to issue approvals for cannabis. The Health Ministry committee that decided to permit the medicinal use of cannabis in 1999 stipulated that the drug be given only to patients with extreme symptoms. Until 2005 the prescriptions for medicinal cannabis were given only to ten patients. The ministry allowed them to cultivate up to ten cannabis plants, and to possess up to 200 grams of cannabis. In addition, patients may get cannabis for free from a grower who remains anonymous and is allowed to deliver cannabis to patients. There are several volunteers who are allowed to transport the drug to patients all across the country. Today cannabis is prescribed by Baruch for a broad array of diseases, among them multiple sclerosis, chronic pain, Tourette syndrome and cancer. The producer of cannabis doesn't receive any payment from the state for the production of the cannabis, and the patients don't pay for it either. However, experts say that it is clear to everyone that this cannot continue, in light of the growing demand and the cost of production. Currently it is unclear who will have to pay for cannabis then. Baruch supposes that patients will have to pay about 5 or 10 shekel (about 0,9 to 1,8 EURos) per gram in the future. 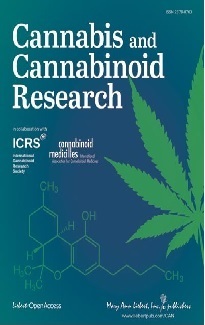 According to research of scientists at Keele University in Staffordshire, UK, the incidence (the number of new diagnosed cases) of schizophrenia in the years 1996 to 2005 does not support the hypothesis that cannabis use increases the risk for the development of schizophrenia or psychosis. For this study an analysis of data from 183 practices in England, Wales, Scotland and Northern Ireland was conducted. The study cohort comprised almost 600,000 patients each year, representing approximately 2.3 per cent of the UK population aged 16 to 44. Between 1996 and 2005 the incidence of schizophrenia and psychoses were either stable or declining. A recently published study found that cannabis use increased fourfold between 1972 and 2002 and 18-fold among people under 18 years of age. If the risk of schizophrenia is elevated 1.8-fold among light users and 3.1-fold among heavy users as suggested by another study, and assuming an elevated risk for 20 years, an increase in schizophrenia incidence of 29 per cent would have been expected between 1996 and 2005. Researchers concluded that "the causal models linking cannabis with schizophrenia/psychoses are not supported by this study" and that "the underlying causes of schizophrenia/psychoses remained stable/declined over the study period." Barney Frank, a member of the House of Representatives, has introduced two pieces of legislation on cannabis to the House. The first would change federal law to allow states to experiment with medical cannabis without interference from the federal government. And the second would drastically reduce penalties for "personal possession" of cannabis. 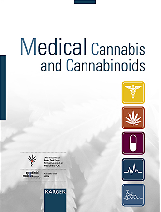 The medical cannabis bill aims to fix a problem in the classification of cannabis. Federal law always trumps state law, and federal law says that cannabis is illegal, even for medical use. Federal law also states that cannabis has no medical value, and therefore even doctors who prescribe it are at risk of legal trouble with the federal government for doing so. The first of Frank's bills, is titled "The Marijuana Patient Protection Act" and "would prevent federal authorities from prosecuting pharmacies, growers and users of medical marijuana in states where the use of the substance for medical reasons is legal."